An embarrassing display of teenage weakness prompted Lawrence to seek strength in the weight room. See what this man did to change his life path. There comes a point in every man's life when he encounters a choice. He must choose to accept his life, or reject it in pursuit of something better. This choice often smacks us in the head as adults, mid-life. It is the spark that leads us to our greatest changes. Lawrence Ballenger confronted that choice in the middle of his second decade on earth. Ten years later, he is in valiant pursuit of something better. 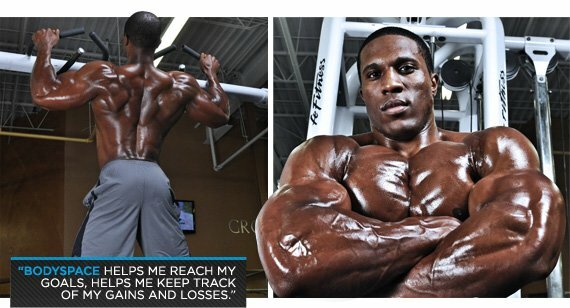 We honor him as this month's BodySpace Member of the Month! Super Powers: I don't really have a super power. I'm more like Batman: I have a great utility belt and great strategies to achieve my goals. Ultimate Goal: My ultimate goal would be to help people learn from all my trials and mishaps I had while working out and working to achieve my goals. For my bodybuilding goal, I want to get my IFBB Pro Card soon to show that you don't have to be a huge monster to win in the super heavyweights you can win because you are more aesthetically appealing and you came in great conditioning. I will never forget the reason I started working out seriously. When I was 15 years old, my family and friends from church came over to celebrate thanksgiving together at my cousin's house. After dinner we went to the basement to lift on his new flat bench. Everyone was lifting 50 pounds for reps of 20, and when it was finally my turn I unracked the bar and it fell straight to my chest and everyone started laughing because I could not get it off and I was so embarrassed. If that wasn't bad enough they called a 15-year-old girl down right after me and she did it 20 times. When that all happened I was 5-foot-4 and 120 pounds, so the next day I bought a Flex magazine and I asked my sister if I could go to the gym with her until I got my license. The following summer I grew almost 8 inches and gained 50 pounds, and I have been in the gym ever since. I went and became a personal trainer and took some nutrition classes while in school as electives so I could learn more about working out and understand what makes my body achieve the goals I want it to. I discovered BodySpace from one of my good friends Daniel Banks. He told me to go on there because it was a great way to see what others are doing to achieve their goals, and I that I would find great people who will help you out. On top of that, they have amazing articles written by some of the greatest fitness minds, and it's all free. It would mean the world to me if I won my IFBB pro card. It would show everyone who has been trying to change their body and thinks it is impossible, or they just don't have a clue where to start. If you just ask questions and read some articles on BodySpace you will find all the answers and you can achieve your fitness goals. BodySpace definitely helped me reach my goals, because it helps me keep track of my gains and losses. It keeps me in contact with other people so I can learn new things and share my knowledge. Plus, the days you don't feel like lifting there are always people encouraging me to keep going, and that motivates me to push even harder. Male bodybuilders sometimes receive negative feedback for being vain or "meatheads." Do you have to battle negativity? How so? I really don't get negative feedback about being a bodybuilder; I'm usually so nice, friendly, and willing to speak to anyone that everyone is supportive and nice to me back. Plus, I'm not intimidating. I look like a big teddy bear. I usually lift in a jacket so people don't get a chance to see what my body looks like. My favorite feature on BodySpace is being able to view the stats right next to the before and after photos. It is really inspirational when you see someone lose weight who has been overweight for so long or see that skinny kid get more muscular after following correct advice. My favorite workout is legs, because mine were so small and weak when I started lifting. I hated doing them until they started growing. I realized all my lifts were increasing as my legs got bigger and stronger. I stay motivated long term by setting short-term achievable goals and going to fitness expos and meeting more fit-minded people. I also make fitness videos on YouTube just to help people out and give them advice so I never want to stop leaning so I can pass it on to everyone else. Plus, I am competitive. Competitions really push me as well. The worst mistake I made was listening to the older kids about gaining muscle. They told me I needed to eat as much rice and peanut butter and jelly sandwiches as I could every day. I did that for almost a year and didn't hardly gain any muscle. I just increased my body fat. I'm bothered by some of the stereotypes bodybuilders have, such as being mean and stupid, but all I do to offset those negative labels is to be myself and be as positive and well-rounded as possible. I make sure I can be the best person I can possibly be. My favorite supplements by far are Dymatize Nutrition products. I have been using them for a few years now and I have been really happy with all their products. It doesn't hurt that they taste great as well. 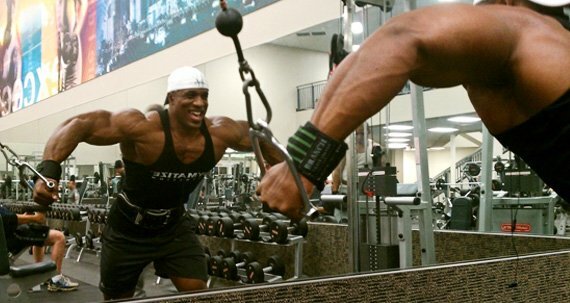 I take the new Dymatize Xpand 2X because it gives me a boost in the gym and helps me push past my plateaus. I also use Dymatize BCAAs because sometimes my workouts last more than an hour and I don't want my muscles to break down too much. I always have my Dymatize ISO-100 for a quick source of protein right when I wake up and for a quick fast-digesting protein throughout the day. Since I travel, it is hard to get enough calories in sometime so I take Dymatize Elite Mass Gainer because you get a great carb to protein-to-fat ratio. 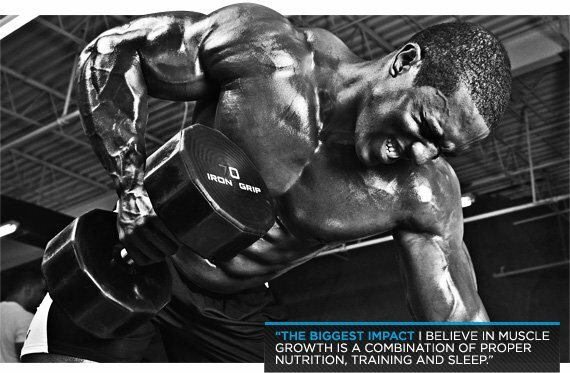 The biggest impact I believe in muscle growth is a combination of proper nutrition, training, and sleep. If you are missing one part of this equation, you will not grow. You need to plan ahead and make time for these things if you want to achieve your fitness goals. I listen to Pandora so I can get a wide array of music, but it ranges from Maroon 5 to Rob Baily to Lil Wayne. The main thing is to eat enough lean meat and clean foods to achieve your needed caloric intake. I always calculated my caloric intake by my ideal weight which was usually 10-20 pounds more than my current weight and eat that. It was difficult to eat that much chicken, steak, fish, eggs, healthy carbs, and fats, but I'm happy I stuck with it and constantly ate every 2-3 hours. I wouldn't have been able to do it without help from Bodybuilding.com. You keep the prices affordable on weight gainers, so when I wasn't able to get a meal I could always get my meal-replacement shake. My favorite way to spend my rest day is to watch football and play "Call of Duty" for the first half of the day. Then I take my dog out and visit my family for the rest of the day. This is the only social media site of its kind. There are so many articles and workout programs to follow. Also there are so many people writing about their experience, so you don't feel alone. You can learn from their success and how they got over their own hurdles to help you get over yours. Keep chasing your fitness goals and dreams no matter how hard or unachievable it may seem to others. You are in charge of your own life and destiny. I want to say thank you to all the people who I inspire because you keep me going and your encouraging words help keep me focused. I like to do a few heavy sets of the major compound movement every workout, besides that it changes every 2-3 months. 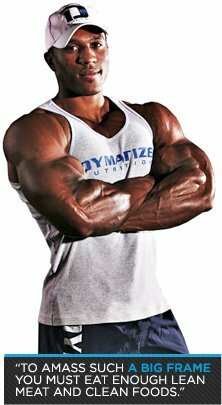 I am a member of Dymatize Nutrition and Power Bodybuilding. I chose Dymatize Nutrition because they have great advice and you can ask questions to any of their athletes and they will answer. I joined Power Bodybuilding because I am a big fan of Mike O'Hearn and I like that type of powerlifting and bodybuilding training because it is similar to what I have been doing for a few years now. I plan out almost everything to a tee, but I always make time for my girlfriend, family, and dog. The gym is usually my "me" time. I just make sure every minute counts. If I'm watching a show, I'm also cooking my meals for the week. If I get tired, I take a day off of from the gym and take that time for myself to gather my thoughts so I can focus. I also plan small vacations throughout the year to give myself a break as well. How has BodySpace changed much since you joined? BodySpace has changed so much since I joined. First off it has had a total facelift, but it is still the same great site I fell in love with. My favorite change has to do with the upgraded mobile app so I can access BodySpace no matter where I'm at.